BRUSSELS, Belgium (RFE/RL)—The European Union and Armenia reiterated their commitment to shared values and praised the current work over a new agreement to be signed later this year as their top diplomatic representatives met in Brussels on Tuesday. At a joint press conference with Armenian Foreign Minister Edward after the 17th meeting of the Armenia-EU Cooperation Council, High Representative of the European Union for Foreign Affairs and Security Policy Federica Mogherini said that the EU is “looking forward to Armenia’s active and constructive stance in preparation of the upcoming Eastern Partnership Summit” to be held in Brussels in November. 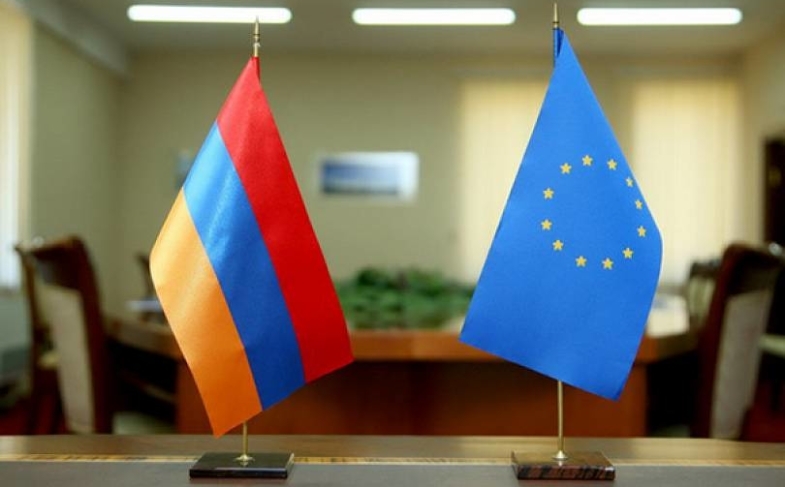 The new EU-Armenia Comprehensive and Enhanced Partnership Agreement, negotiations over which were launched in late 2015, was initialed in Yerevan in March. Its signing is expected at the Brussels summit. “The European Union is willing to expand and deepen cooperation with Armenia. We are already the first trading partner for the country, the first international donor and the strongest supporter of reforms. We are ready to continue supporting Armenia’s reform process across a range of issues, including economic development, the business environment, the judiciary, human rights, the fight against corruption – issues that are very concrete and relevant for the citizens of Armenia,” Mogherini said. The EU official said that the peaceful resolution of the Nagorno-Karabakh conflict was also discussed during her meeting with Armenia’s representative. “The European Union believes the status quo is unsustainable and that the conflict needs an early political settlement in accordance with international law. The European Union continues to fully support the mediation efforts and proposals of the OSCE [Organization for Security and Co-operation in Europe] Minsk Group Co-Chairs. Armenia has signed a cooperation agreement with the European Union, committing to political reforms and providing some hope for Western-leaning Armenians that their country has strategic options other than Russia. The agreement, formally known as the Comprehensive and Enhanced Partnership Agreement, was signed at a summit of the EU's summit of Eastern Partnership countries on November 24. "This Agreement is not merely a legal document, but a reflection on the wealth of values of human rights and fundamental freedoms that we share, President Serzh Sargsyan said at the event. Armenia under Sargsyan is not known for its respect for human rights or fundamental freedoms, but he continued: "Important elements of the strengthening of democracy such as rule of law, consolidation of judiciary, development of public and social institutes, good governance ae the core of this Agreement." The summit and signing were scheduled for months, but until the last minute some Armenians worried that Russia would somehow scuttle the deal. That is what happened in 2013, when Armenia was set to sign a more substantial deal, the Deep and Comprehensive Free Trade Agreement, with the EU. Russia made plain its displeasure with the deal by announcing arms sales to Armenia's rival, Azerbaijan, and hinting that the price of natural gas it exports to Armenia could rise. President Serzh Sargsyan took the hint and, with no public debate, abruptly announced that he was abandoning talks on the EU deal. Subsequently, Armenia joined Russia's rival organization, the Eurasian Union. This time around, Russia allowed the deal to go through, at least in part because the agreement was scrubbed of anything that would conflict with Armenia's obligations under the Eurasian Union. “We develop relations with other states, particularly with Armenia, and we do it on the basis of mutual interests. At the same time, we understand that every country has its own foreign political interests, purposes, objectives and we respect them,” Russian Foreign Ministry spokeswoman Maria Zakharova said ahead of the signing. Nevertheless, Russia did make its displeasure known, if only indirectly. Russian media played up a tenet in the EU deal that referred to the need to close Armenia's aging Metsamor nuclear power plant, suggesting it would leave Armenians in the dark. A television station affiliated with the Russian Ministry of Defense suggested that, a la Ukraine, Armenia's growing ties to the EU were inclining it to fascism. But these were relatively feeble complaints. And both EU and Armenian officials presented the EU agreement as making Armenia a sort of bridge between the EU and the EEU. “This ground-breaking new agreement will help demonstrate that it is possible for Armenia to be part of the Eurasian Integration Process, while also establishing an enhanced comprehensive cooperation with the European Union and this is the idea behind it and should serve as an example to others," said Commissioner for European Neighbourhood Policy and Enlargement Negotiations Johannes Hahn during an October visit to Yerevan. While the agreement commits Armenia to reforms that hold the potential to be painful in the short term, it does move the country closer toward a substantial reward: a visa-free deal with the EU. A week before the summit the European Parliament passed a resolution recommending that the EU "open visa dialogues with Armenia." Sargsyan also called for visa liberalization for Armenians. "We believe that Armenia’s determination in this process, as well as determination of our EU partners will soon result in further bringing our societies closer to each other, for which, of course, launching of the visa liberalization dialogue would be of great significance," he said. For the day, though, Armenia's Europhiles were just celebrating. As economist Babken Der Grigorian put it, tweeting a photo of a beaming Sargsyan after the sigining ceremony: "I've never been so happy to see Serzh Sargsyan so happy." “The Agreement we have signed today will have a real impact on people’s lives, a positive one, both in Armenia and in the European Union,” EU High Representative/Vice-President, Federica Mogherini said at the cermony of signing of a Comprehensive and Enhanced Partnership Agreement (CEPA) with Armenia. “It will allow us to strengthen our cooperation on security matters, in particular through increasing resilience; to improve the investment climate, stimulating growth and jobs; and to find environmentally-friendly solutions to help communities prosper and businesses grow,” Mogherini said. “It has been a long-term objective of ours to have an ambitious agreement in place that better reflects the priorities of our partnership with Armenia, to address the challenges we face and to make the most of the opportunities available to us through even stronger cooperation,” she added. A better investment climate: A better regulatory environment will improve the business climate and investment opportunities for Armenian and EU companies, encouraging Armenian companies to sell more goods and services to the EU and the EU companies to open subsidiaries in Armenia, which will contribute to economic growth and job creation. A more empowered civil society: An independent civil society platform composed of Armenian and EU organisations will be set up to monitor the implementation of the agreement. A safer living environment: The EU and Armenia will increase their cooperation in preventing and fighting crime, including terrorism. Fairer and more transparent procurement procedures: Clearer rules on publication of tenders and review procedures will help to prevent corruption and discrimination. Improved product safety and consumer protection: Armenia will seek to reduce differences with regard to EU standards to further protect the health and safety of consumers. A cleaner, healthier environment: The EU will support Armenia’s adoption of EU environmental standards as well as its development of clean sources of energy. “Through this agreement, the EU-Armenia partnership will continue to be anchored and based on our shared common principles and strong commitment to democracy, human rights and the rule of law,” Mogherini stated. I have never heard even half a word from any Russian leader, especially from President Putin, which includes rebuke in terms of our cooperation with the European Union (EU). The President of Armenia, Serzh Sargsyan, on Friday told the aforesaid to the RFE/RL Armenian Service, in Brussels. When asked whether there have been any objections or reservations in Russia in connection with the Armenia-EU agreement to be signed, Sargsyan responded that it soon will be ten years since his presidency, and that also during his various prior positions he had never heard a word from any Russian leader, especially President Putin, which contains a reproach in terms of Armenia cooperating with the EU. will be held on November 24 in Brussels. goals and tasks and always respect it," she said. join the Customs (later Eurasian - TASS) Union instead. Armenia’s Foreign Minister Edward Nalbandian and EU’s representative of foreign affairs, Federica Mogherini. sign the comprehensive agreement with President Serzh Sarkisian and the President of the European Council Donald Tusk looking on. YEREVAN.- The EU plans to increase financial aid to Armenia by 25%, head of the EU delegation in Armenia Piotr Switalski told reporters on Monday, adding at the same time that the Comprehensive and Enhanced Partnership Agreement signed between Armenia and the European Union will become tangible for an ordinary citizen not tomorrow. "The financial aid provided to Armenia within the framework of the Single assistance mechanism, as we know, can reach up to 170 million euros. However, we are convinced that we can do more," the ambassador said. According to Switalski, the EU wants to share its experience with Armenia on the rule of law, democracy and good governance. He noted that now the European Union is the largest financial donor of Armenia. They call “the fifth column” those who are asking themselves about what the new format of cooperation with the EU gives to Armenia and are skeptical about "philanthropic" projects from outside. It is interesting that representatives of public organizations that have been receiving grants from Western funds for many years for their subversive activities should indulge in such statements, but this is another topic for conversation. This is the question that an ordinary person asks himself if he or she is not involved in foreign funds that "care" for development of civil institutions in other countries. Otherwise, if you listen to passionate fans of the European Union - Armenia will be better off, but it takes time, because nothing happens here and now. Such ideas are well in line with the activities of experts on human rights issues, but it is interesting that in the case of the EAEU the effect was expected instantaneously, and its absence became an occasion for total criticism. This behavior is quite consistent with the logic of the work of public figures and politicians who serve the interests of the West, since double standards are the method of their joint activity. The new document, by and large, is formally designed to improve the economic state of the country through close cooperation with the EU, as well as to carry out reforms in legislation, promote development of civil society and human rights. The process of liberalizing the visa regime is also expected to begin, so that citizens of Armenia can get visas to visit the EU countries in a more facilitated way. However, questions arise: why does cooperation as the Western officials understand it mean intervention? Does cooperation between countries mean teaching each other how to support NGOs within the country and develop civil society? Or cooperation means pointing out to the law enforcement agencies of another country how should they act during special operations to combat crimes? Is it a true cooperation, when one country finances citizens of another for lobbying certain laws that are absolutely contrary to the real needs of society? Moldova, Ukraine, and Georgia are vivid examples of the fact that it is not too early for Armenians to congratulate each other, nor should one have any illusions about the fact that European markets will open their doors in anticipation of Armenian goods. The political leadership of Moldova was also happy about this fact, however, as a result it turned out that the Moldovan goods absolutely do not meet the necessary standards. Today you can look at Moldova’s economic indicators and draw a conclusion as to what this country received from the European Union. It can be said with certainty that Moldova passed laws that it did not need absolutely, meaning the laws that are now actively promoted in Armenia: the law on the prevention of domestic violence, and so on. Obviously, it is grant-dependent NGOs that are primarily to rejoice so that they can continue their subversive activities aimed at discrediting the Armenian-Russian relations, Armenia's participation in the EAEU and the CSTO, as well as some pro-Western officials in the government that will continue to push the country towards the West for decent fees. Armenia’s real interests should be reflected not in other countries, but in Armenia itself. Whatever anyone says, there is a political reality, and it consists in the fact that the West pursues its goals, which are aimed at ousting the interests of Russia and the interests of Armenia itself in the region. Now the EU has accepted the "comprehensive" principle for practical reasons, however, once it already presented Armenia with an accomplished fact, therefore it is not ruled out that such an attempt will be repeated in the future. An agreement with the European Union can soon come to light when it turns out that the Armenian legislation, government officials, the active part of its society are fully adapted to European standards, in which it will be very difficult to find a purely Armenian interest. I hope that before this happens, a real demand will arise in society for understanding what, in fact, is the Armenian interest and how it needs to be protected. It is very early draw a conculsioin with this pact , lots of variations that time will show , one important thing now Putin is silence , you don't what he is going to do , one thing is sure Armenian President making very clear about Russians stand about this fact , I think double edge sword I hope this pact benefits lot for Armenia , Armenia having great diffuculties at this time. E.U. iT Self has hard time to solve it’s own issues of justice and criminality. Each year safety has declined at dangerous levels. As for the Artsakh issue the European Union is not capable to solve the Cyprus illegal occupation since 1974 by the Turks and worse keeps a since 4 decades a hypocritical policy towards Turkey ! Policy makers in the E.U. are fake, immature and liars ! On December 1, at 11 am, with the support of the RA NA Standing Committees on Foreign Relations and the European Integration Committee of the National Assembly, and the Armenian Branch of the Conrad Adenauer Foundation, hearings on “Armenia-EU comprehensive and expanded partnership” will be held. On November 24, “Comprehensive and expanded partnership” agreement was signed between Armenia and the European Union, in Brussels. YEREVAN.- Belgium is glad for Armenia-EU agreement signing, Belgian Ambassador to Armenia Jean-Arthur Regibeau told reporters on Thursday in Yerevan. "We are very glad that an agreement was signed between Armenia and the EU last week. This agreement will improve Armenia's relations with Belgium and other EU members. On the one hand, Armenia is a member of the Eurasian Economic Union (EAEU), on the other hand, the state signed an agreement with the EU. Armenia can become a bridge between the EAEU and the EU. We welcome this role," the ambassador said. At the same time, he noted that the issue of the visa regime liberalization isn't resolved as the signed agreement doesn't extend to the visa regime. According to the ambassador, the issue can be resolved in two stages. During the first stage, the visa regime can be facilitated. At the second stage it can be canceled. "However, we realize that this is impossible for technical and political reasons. Nevertheless, it is a political goal which we have declared. One of the technical reasons is the mutual recognition of passports. Our goal is to achieve cancellation of the visa regime step by step," the ambassador noted. Asked whether there is a fear that if the visa regime is abolished, a large stream of Armenians will rush to Europe, the ambassador said delicately: "You are just talking about the political reason I spoke about. For this reason, many European countries do not want to abolish the visa regime for all countries. We want to be sure that if the visa regime is canceled, there will not be a large flow of visitors. Therefore, it is necessary to be patient, "the ambassador said. December 5, 2017 - The European Union (EU) and Armenia signed a Comprehensive and Enhanced Partnership Agreement (CEPA) on November 24, 2017, in the presence of high representatives of both parties. The US and Russia should support this agreement because Armenia lies along the geopolitical fault lines of two civilizations: the East and the West, Europe and Asia, Christendom and Islam. This agreement enhances the neutrality of Armenia and the security in the region. The EU will be supporting democratic reforms in governance, the rule of law, the protection of human rights and fundamental freedom, the independence of the judiciary, and the development of public and social institutions in Armenia. CEPA also enables cooperation in the energy, transport, environment and trade sectors. It also promises improvements in banking, travel and business infrastructures along with investment opportunities and a healthier environment. CEPA does not include free trade arrangements as Armenia is a member of Eurasian Economic Union (EAEU). The road to EU integration enjoys broad consensus among Armenians in the political arena and civil society. Armenia chose this path because it is public knowledge that its discontinuation in 2013 of its newly-minted association with EU was due to clear warnings from Moscow that its security guarantees by Russia would be withdrawn if it proceeded with the association agreement. In fact, Armenia was the first country that experienced strong backlash from Russia in response to its negotiations with EU due to the problems in Ukraine. Armenia signed this agreement knowing well that it needs the establishment of active bilateral relations with as many countries as feasible to overcome the risk of isolation and garner guarantees for its national security. One presumes that Moscow has been kept informed all along that Yerevan will sign such an Agreement. 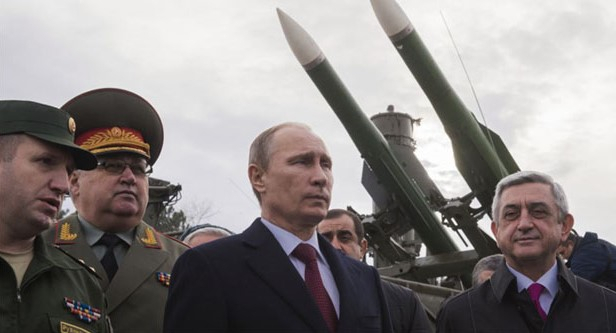 Russia holds the keys to Armenia’s security which was solidified by the November 2016 Agreement on the creation of Armenian-Russian Joint Military Forces. Russia also holds the key to the Karabakh issue and energy policies, given the Armenian-Russian gas agreement signed on December 2, 2013, substantially limited Armenia’s options to devise an independent energy policy. Thus, CEPA is a huge step for Armenia to regain space for sovereign decisions and credibility with the international community. If this agreement, which includes duties, obligations and commitments succeeds, it will create opportunities to improve the quality of relations between the East and West. The countries within EAEU, lead by Russia, would equally benefit if Armenia becomes a bridge between the EU and EAEU countries, in trade and development, as this agreement is a test case for co-existence between EU and EAEU. 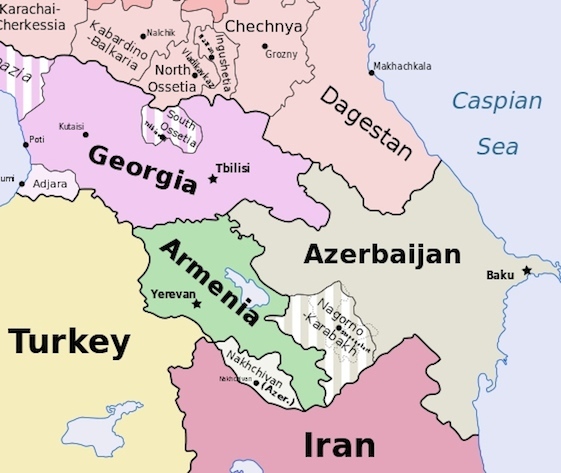 The Armenian-Azerbaijani conflict of Nagorno-Karabakh is one of the most destabilizing factors in the Caucasus involving regional and international powers. 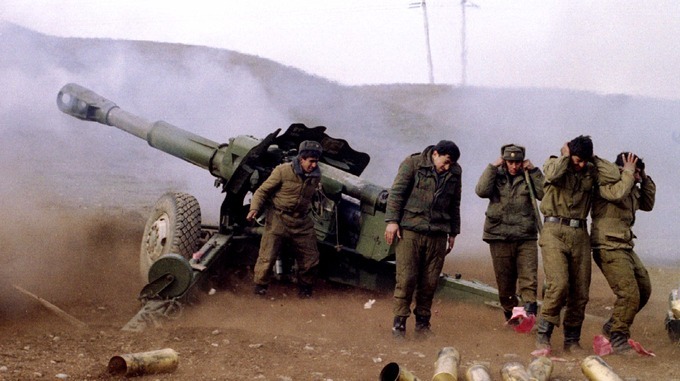 The April 2016 Azerbaijani attempt to break through Armenian defense lines had no effect on the situation as a whole. The present stage of the negotiation process has reached deadlock, politically and militarily. Politically, the conflict is not resolved because the positions of the parties are irreconcilable. War, on the other hand, is unacceptable to the political forces and interests of both regional and international powers. All parties know that the outcome of war is by no means certain. It will involve a huge number of victims and damage to civilian structures. While Azerbaijan showed the world that it is willing to take the risk of resolving the conflict by military means in April 2016, it too needs peace in the region, despite its belligerent language in its relations with Armenia. Armenia’s external foreign policy is carried out by establishing active, bilateral relationships with as many countries as feasible, and multilaterally, through participation in international organizations such as the EU and EAEU. Both these approaches are critical for Armenia to earn a measure of respectability in the international system. The signing of the CEPA is a milestone for Armenia as it represents a compromise between the old Association Agreement of Europe and Armenia’s new commitment to a Comprehensive and Enhanced Partnership Agreement. The US and Russia should support the EU-Armenia Agreement (CEPA), invest in Armenia and help it to solve the Nagorno-Karabakh conflict peacefully. A prosperous, neutral Armenia, defusing the fault line of tensions and the clash of civilizations, will be a critical component of peace and development in the region and the world. Armenia did not sign an agreement with the European Union (EU) four years ago when it first had the chance, but an agreement was signed November 24 in Brussels, on the sidelines of the European Partnership Summit attended by delegations from 28 European Union countries and representatives from Armenia, Georgia, Moldova, Ukraine, Azerbaijan and Belarus. Despite the fact that Armenia made a U-turn at the time, the EU did not punish Armenia or treat it negatively. On the contrary, it continued friendly relations with Armenia because it was in pursuit of a greater goal; and as we see, this time around, several republics of the former Soviet Union are involved in this new deal, which officially is “not directed against the interests of any particular party” but everyone is aware that it is intended to isolate Russia. At the signing ceremony, Donald Tusk, the president of the European Council, used the opportunity to criticize Moscow over its actions in Crimea. In addition, Prime Minister Theresa May of Britain did not mince her words in defining the role of the agreement as it pertains to limiting Russia. It would not be wise to delve into the legal implications of the agreement, without studying the 350-page document, but we can discuss the public fallout. By enlisting countries from the Russian sphere of influence, the EU is doing the US’s bidding as far as antagonizing Russia is concerned. As a second-rate power, the EU cannot be weaned from the US, no matter what political differences it may have with Washington. President Emanuel Macron of France and Chancellor Angela Merkel have at times been openly critical of the US administration, in an attempt to demonstrate their sovereignty, but they have not gone as far as breaking the relations. 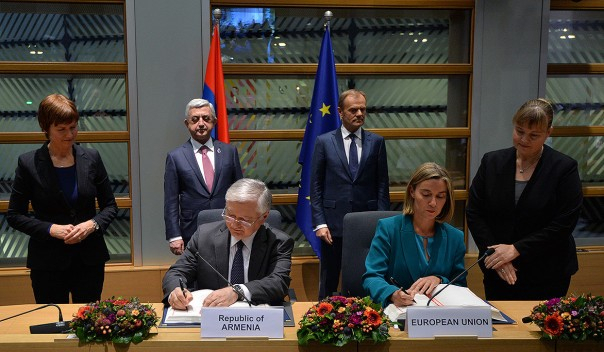 The agreement Armenia came to sign assigns some commitments vis-à-vis the EU; the signatories have to fight domestic corruption, break up monopolies, render the courts independent, hold free elections and so on. One would ask why Armenia could not achieve any of these reforms on its own and has to enter into an association to be forced into implementing them. The reason seems to be that by association, Armenia is committing itself to upholding European values. The second, more valid reason, is that the EU is offering $200 million to Armenia to carry out those reforms by 2020. It looks like the EU has to bribe Armenia to help it make some good decisions. A respected journalist, Aram Aprahamian, writing in his editorial column in Aravot daily, seems to be skeptical, looking at the faces of those leaders who have been responsible for the current lackluster situation in Armenia. 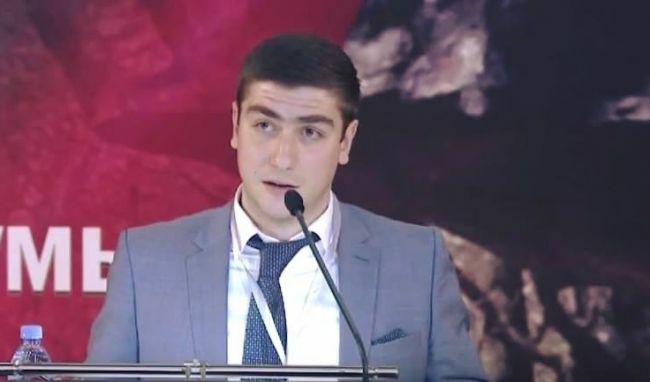 Just a week ago, the Black Sea Cooperation Council had adopted a similar declaration, omitting the principle of self-determination and no country came to Armenia’s defense and thus the Armenian delegation had to walk out of the conference. In the second paragraph of the EU agreement, there is a reference to territorial integrity, independence and sovereignty, directed at Russia, to satisfy Georgia, Azerbaijan and Ukraine, once again leaving Armenia in limbo. But these official statements do not jibe well with the ugly attacks that the two state-controlled TV channels in Moscow have unleashed against Armenia. Many talk shows have been aired specially on NTV, where Armenia is portrayed as a woman married to Russia, asking for gifts from the husband while flirting with the European lover. No Armenian commentator has been invited to those shows to provide any alternative views. Unfortunately, this Armenia-bashing campaign translates into abuses and even murders on the streets of Moscow, where Armenians, as well as other Caucasian immigrants, are singled out on the streets and routinely called derogatory names. Thus, Armenia, believing it to be its historical mission to bridge East and West, has taken a positive initiative but from all indication, that move is fraught with perils and risks. Actually, Armenia’s foreign policy has become a multi-vector one. Assuming the chairmanship of the Francophonie organization of French-speaking nations will bring President Macron to Armenia while on the other hand hosting Iran’s Foreign Minister Jawad Zarif led to the signing of significant economic agreements. And yet, all these activities have to translate into bread for the ordinary citizen’s table, and jobs and hope for the youth to remain in Armenia. There are many counter currents against Armenia’s development and the government has been taking bold steps to break the isolation and assure all these agreements to yield benefits and now. YEREVAN.- Signing of the new agreement with the European Union should not be considered in terms of concession-compromise, President of Armenia Serzh Sargsyan said in an exclusive interview with Armenia TV, speaking about the comprehensive and enhanced partnership agreement with the EU. “Signing of the new agreement with the European Union should not be considered in terms of concession-compromise. That's my conviction,” Sargsyan said, adding that healthy logic has really won, and if any party signs an agreement, it means that the sides achieve at least any success. He noted that the dialogue has never been considered a contradiction for us. According to the president, the EU announced the Eastern Partnership Program in 2010 and since then Armenia was negotiating to benefit from the results of the project. "At the same time, integration processes were taking place on the CIS territory. When we started the first stage of negotiations, we frankly told the Europeans that Russia is our ally, and our economy is linked with the Russian economy and we cannot negotiate over an agreement that could hamper our economic ties. There was a moment, when the negotiator began to make the terms and noted that some provisions of their agreement contradict to some provisions of the EAEU. We had a task to choose between the two economic markets, and we had to remind them that in 2010 we agreed so. And we could risk. We have done everything transparently," said Sargsyan. The president noted that he is very glad that the agreement was signed. “The problem lays elsewhere. If we think about the contradictions that might happen someday, though we have to think about it, we will not achieve much. After all, the EU has a huge market, and our goal should be an export promotion. We should produce and export many products. And we can equally export these products both to the EU and to the EAEU,” Sargsyan noted.